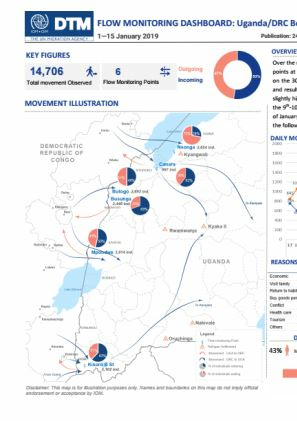 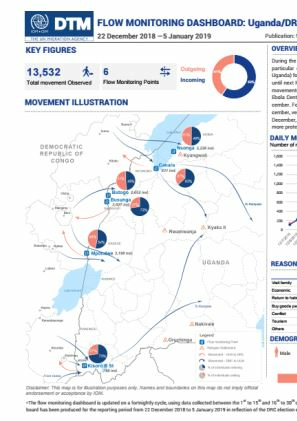 IOM Uganda monitors migration flows along the border with the Democratic Republic of Congo (DRC) through six strategically located flow monitoring points (FMP). 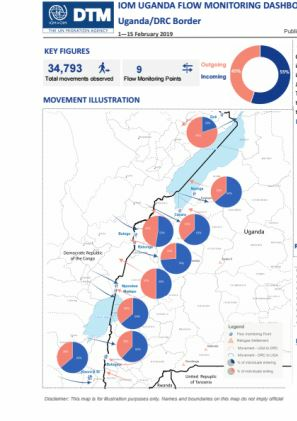 Over the course of two weeks from 22 December 2018 to 5 January 2019, a total of 13,532 movements were observed, with 59% entering Uganda and 41% exiting. 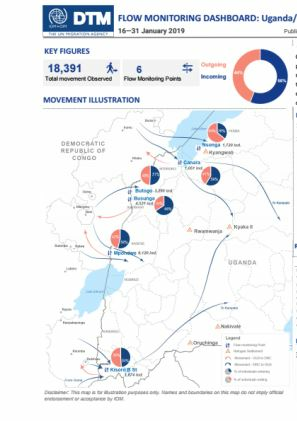 66% of the people declared to be Congolese nationals. 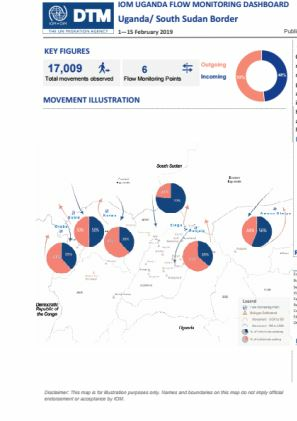 More than 70% of movemenst recorded are motivated by family linkages and economic activities.